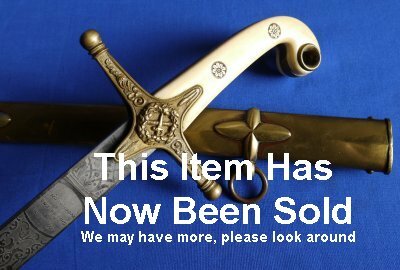 In good to very good condition, a pre-1875 Victorian British General's 1831P Mameluke Sabre / Sword, etched to Mills, Greens End, Woolwich. Etched at the ricasso to military tailors (Thomas and George) Mills, Greens End, Woolwich, who ceased trading 1875. The 31 1/2 inch blade is in good condition and firm in the hilt. 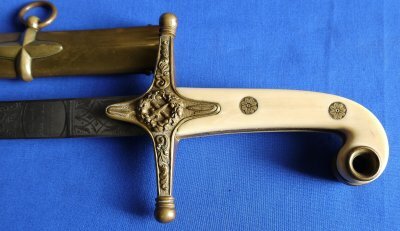 The hilt is overall good with some gilt remaining. The ivory grip is good, one small chip one side. 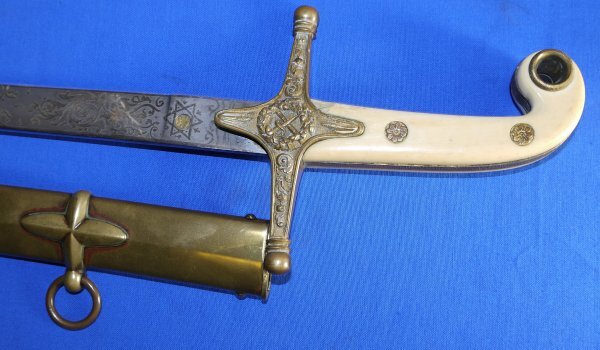 The brass scabbard (for a more senior officer) is in good condition, a little ding here, a little staining there. 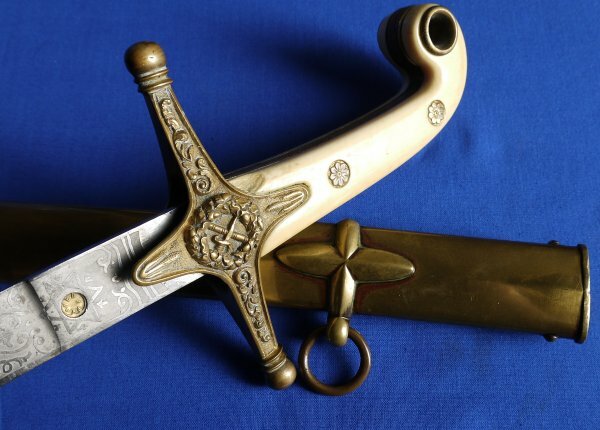 The sword sheathes and draws well. A good example, a great price; £? (too late, now sold). Please quote item reference R02 (0461). Further / full sized pictures available upon request.